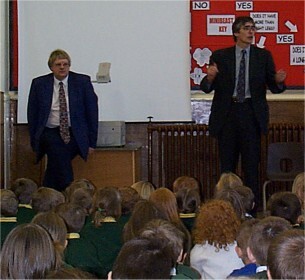 Barrowford, 17Nov2000 -- Member of Parliament for Pendle, Gordon Prentice, paid his first visit to Barrowford School today. The morning started shortly after 10am as Mr. Prentice addressed the whole school explaining what he does as a member of parliament. Pupils, teachers and parents were invited to take a vote on one of Mr. Prentices' key interests - the abolition of fox hunting. There was a large majority of hands raised supporting the ban and a few against, something that Mr. Prentice said he would mention in the Commons debate on the subject next week. 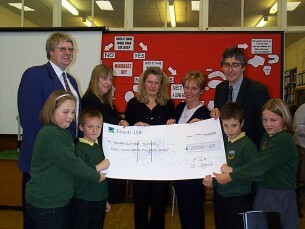 Later Mr. Prentice presided over the donation of �00 by Friends of Barrowford School (FOBS) to the school. The money has been raised by FOBS from a series of events, including school discos. Mr. Prentice was then invited to take a break with the staff (where members of FOBS promptly relieved him of �for raffle tickets!) before undertaking what must have been a nail-bitingly anxious moment for him - taking unseen questions from an audience of older pupils. 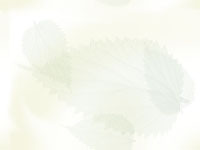 Fortunately nothing too controversial was asked! When asked, "what will you do if you don't get into parliament next time", Mr. Prentice answered that he didn't really know, but that being a headmaster was probably not on the cards. He did like the idea of being a teacher, but said he wasn't sure he was skilled enough for the job. As the most enjoyable event drew to a close, Mr. Hufferdine, the headmaster thanked Mr. Prentice for taking the time out of his very busy schedule to talk to the pupils. He then presented Mr. Prentice with 3 selected paintings from the school representing past, present and future. 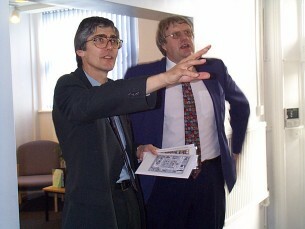 As Mr. Hufferdine led Mr. Prentice out of the school they paused for a moment to look at the artwork display at reception where almost every pupil has some work.